Add to Cart Added to cart. 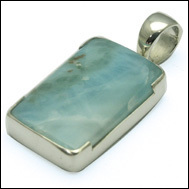 More products like this one in Larimar Pendants. Copyright © Bali Bead Shop 2003-2019. Catalogue last updated 27 August 2018. To add items to your shopping cart, click “Add to Cart” next to the item you are interested in. The items will appear here.